Black box telematics insurance policies have helped dramatically reduce the number of young drivers killed or seriously injured in road traffic accidents. Since 2011, road casualties involving drivers aged between 17 and 19 have dropped by over a third (35 per cent), compared to 16 per cent for the driving population as a whole. Over the same seven years, the number of live telematics-based insurance policies has grown every year from 90,000 in 2011 to 975,000 in 2017. In short, that’s an increase of 983 per cent! 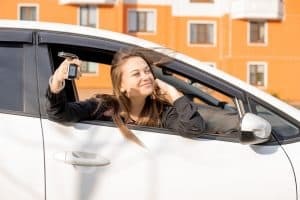 Additionally, road casualty rates in 17-19 year olds dropping by a third comes despite a ten per cent increase in the number of vehicles on the road between 2011 and 2016. A spokesperson from LexisNexis Risk Solutions, which published the data, said the downward trend was fuelled by the increasing availability and adoption of telematics insurance. “Young drivers remain the riskiest drivers on our roads but the insurance sector deserves a great deal of credit for developing an insurance product that encourages safer driving and delivers fairer pricing to young drivers based on their road behaviour,” they commented. Experts estimate that the cost of offering telematics has fallen by as much as half since 2013, while four in five consumers are comfortable with the idea of telematics insurance.